Summary : Ride to Sydney Olympic Park or Rhodes for a feature movie. BIKE LIGHTS required if return route will be after sunset. NOTES: Ride to free outdoor Movies On the Boulevard at Olympic Park - "Crazy Rich Asians' is the movie showing, starts about 8pm. Bring you snack for dinner or buy onsite. Bike Lights required for the return ride after the movie. Suitability Suitable for beginners. Bike lights required if return ride is after sunset. 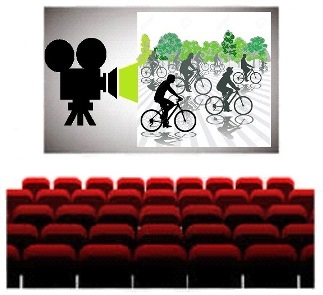 Easy style ride to either outdoor movies at Sydney Olympic Park Stadium, or cinema at Rhodes. Watch the feature movie. BIKE LIGHTS required if return ride is after sunset.